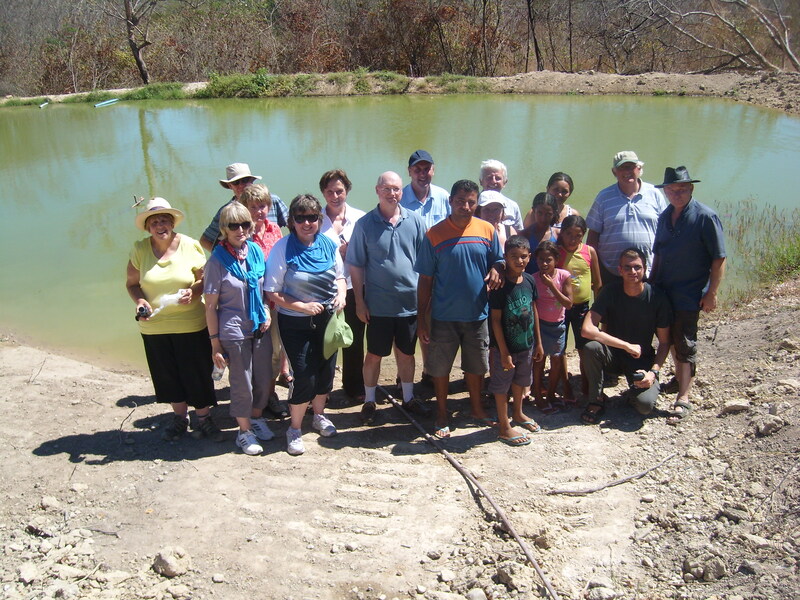 Antonio Neto (seen here with his family, VinB trustees and friends from Manchester & Slovakia) is a fish farming pioneer in the region of Cristino Castro. Antonio took a big risk and invested what he had in a bore well and fish pond. Since his initial investment over seven years ago Antonio says that he has learned a great deal and if he were to start a again he would go about things very differently. Antonio took the opportunity to go on a fish breeding course delivered at the local Agricultural College: “Now I know how to improve production” say Antonio and he has asked VinB to provide him with a micro loan to make those improvements. Fish farming provides a vital source of income and nutrition for local people.